Historically, some societies have enacted specific laws governing adoption; where others have tried to achieve adoption through less formal means, notably via contracts that specified inheritance rights and parental responsibilities without an accompanying transfer of filiation. Modern systems of adoption, arising in the 20th century, tend to be governed by comprehensive statutes and regulations. Adoption has changed considerably over the centuries with its focus shifting from adult adoption and inheritance issues toward children and family creation; its structure moving from a recognition of continuity between the adopted and kin toward allowing relationships of lessened intensity. 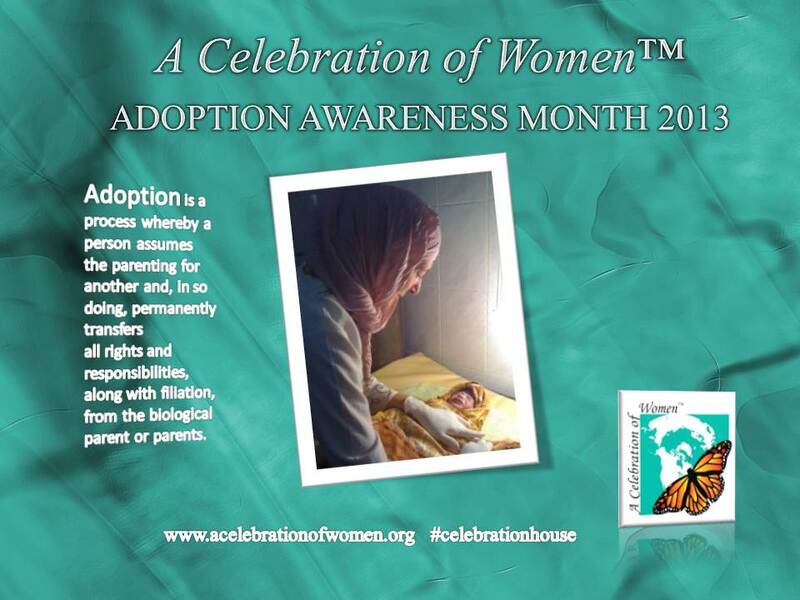 In modern times, adoption is a primary vehicle serving the needs of homeless, neglected, abused and runaway children. Where can you find the latest resources on using social media to recruit and retain parents for the children and youth in foster care waiting for permanent families? This short video explains how the 2012 National Adoption Month initiative helps connect agencies with resources they need to recruit and retain families, provide families with information to help them start the adoption process, and link youth to resources on staying connected with the important people in their lives. Open adoption allows identifying information to be communicated between adoptive and biological parents and, perhaps, interaction between kin and the adopted person. Rarely, it is the outgrowth of laws that maintain an adoptee’s right to unaltered birth certificates and/or adoption records, but such access is not universal (it is possible in a few jurisdictions—including the UK and six states in the United States). Open adoption can be an informal arrangement subject to termination by adoptive parents who have sole authority over the child. In some jurisdictions, the biological and adoptive parents may enter into a legally enforceable and binding agreement concerning visitation, exchange of information, or other interaction regarding the child. As of February 2009, 24 U.S. states allowed legally enforceable open adoption contract agreements to be included in the adoption finalization. 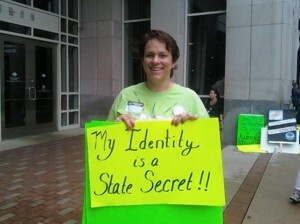 Today, as a result of safe haven laws passed by some U.S. states, secret adoption is seeing renewed influence. In so-called “safe-haven” states, infants can be left, anonymously, at hospitals, fire departments, or police stations within a few days of birth, a practice criticized by some adoption advocacy organizations as being retrograde and dangerous. Closed adoption, lack of medical history and the broken thread of family continuity can have a detrimental impact on an adoptee’s psychological and physical health. The lack of openness, honesty and family connections in adoption can be detrimental to the psychological well being of adoptees and of their descendants. Adoptions can occur either between related family members, or unrelated individuals. Historically, most adoptions occurred within a family. The most recent data from the U.S. indicates about half of adoptions are currently between related individuals. A common example of this is a “stepparent adoption”, where the new partner of a parent may legally adopt a child from the parent’s previous relationship. Intra-family adoption can also occur through surrender, as a result of parental death, or when the child cannot otherwise be cared for and a family member agrees to take over. Infertility is the main reason parents seek to adopt children they are not related to. One study shows this accounted for 80% of unrelated infant adoptions and half of adoptions through foster care. Estimates suggest that 11–24% of Americans who cannot conceive or carry to term attempt to build a family through adoption, and that the overall rate of ever-married American women who adopt is about 1.4%. Other reasons people adopt are numerous although not well documented. These may include wanting to cement a new family following divorce or death of one parent, compassion motivated by religious or philosophical conviction, to avoid contributing to overpopulation out of the belief that it is more responsible to care for otherwise parent-less children than to reproduce, to ensure that inheritable diseases (e.g., Tay-Sachs disease) are not passed on, and health concerns relating to pregnancy and childbirth. Although there are a range of possible reasons, the most recent study of experiences of women who adopt suggests they are most likely to be 40–44 years of age, currently married, have impaired fertility, and childless. Private domestic adoptions: under this arrangement, charities and for-profit organizations act as intermediaries, bringing together prospective adoptive parents and families who want to place a child, all parties being residents of the same country. Alternatively, prospective adoptive parents sometimes avoid intermediaries and connect with women directly, drafting contracts through a lawyer (these efforts are illegal in some jurisdictions). Private domestic adoption accounts for a significant portion of all adoptions; in the United States, for example, nearly 45% of adoptions are estimated to have occurred through private arrangements. 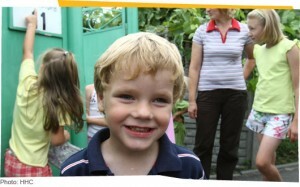 Children associated with Hope and Homes for Children, a foster care program in the Ukraine. Ukraine has one of the highest numbers of children in institutions in Europe. 67,000 children are growing up in institutions today and 800 babies are abandoned every year. Foster care adoption: this is a type of domestic adoption where a child is initially placed in public care. Its importance as an avenue for adoption varies by country. Nevertheless, the example of the United States is instructive. Of the 127,500 adoptions that occurred in the U.S. about 51,000 or 40% were through the foster care system. International adoption: involves the placing of a child for adoption outside that child’s country of birth. This can occur through both public and private agencies. In some countries, such as Sweden, these adoptions account for the majority of cases (see above Table). The U.S. example, however, indicates there is wide variation by country since adoptions from abroad account for less than 15% of its cases. More than 60,000 Russian children have been adopted in the United States since 1992, and between 1995 and 2005, Americans adopted more than 60,000 children from China. The laws of different countries vary in their willingness to allow international adoptions. Recognizing the difficulties and challenges associated with international adoption, and in an effort to protect those involved from the corruption and exploitation which sometimes accompanies it, the Hague Conference on Private International Law developed the Hague Adoption Convention, which came into force on 1 May 1995 and has been ratified by 85 countries as of November 2011. Embryo adoption: based on the donation of embryos remaining after one couple’s in vitro fertilization treatments have been completed; embryos are given to another individual or couple, followed by the placement of those embryos into the recipient woman’s uterus, to facilitate pregnancy and childbirth. In the United States, embryo adoption is governed by property law rather than by the court systems, in contrast to traditional adoption. Common law adoption: this is an adoption which has not been recognized beforehand by the courts, but where a parent, without resorting to any formal legal process, leaves his or her children with a friend or relative for an extended period of time. At the end of a designated term of (voluntary) co-habitation, as witnessed by the public, the adoption is then considered binding, in some courts of law, even though not initially sanctioned by the court. The particular terms of a common-law adoption are defined by each legal jurisdiction. For example, the US state of California recognizes common law relationships after co-habitation of 2 years. The practice is called “private fostering” in Britain. We allow comments according to our comment policy HERE. Children can’t wait to have a family, and every child deserves a loving and committed permanent family. At any given time, BC has about 1000 children in the permanent care of the Ministry of Children and Family Development who are waiting to be adopted. Our children range in age, personality and needs. Potential adoptive parents come from diverse backgrounds and have a range of life experiences. But, they have one thing in common – a desire to grow their family by providing a loving and nurturing home to a child who needs it. Adoption is a legal and social process through which a child becomes part of a new family and families are given the opportunity to experience all of the rewards that come with parenting a child. We adopted Evan Binh Minh from Bac Ninh, Vietnam on June 17th, 2010 at the age of 6 months. Like most orphans, he was listless and quiet. But within only a month with 2 parents, his development was rapid, and he changed dramatically. 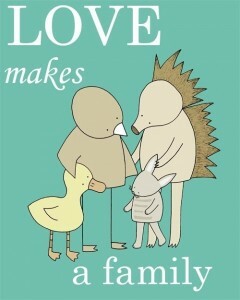 This is a great example of the importance of children having a proper family. Politicians, non profit organizations and even institutions like Unicef around the world prefer children stay left abandoned in orphanages or foster care in their own countries rather than be adopted internationally.